Bangalore is surrounded by myriads of beautiful hill stations, which offer some excellent getaway opportunities to get a break from the monotonous office lives. The majority of the hill stations are just within 250 km from the city, offering great options for road trips. 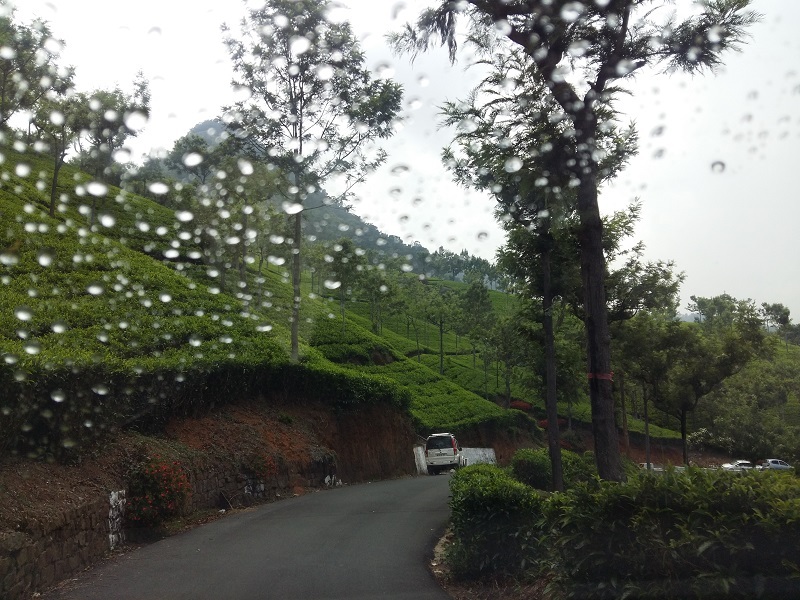 Today, I am going to tell you about my adventurous road trip to Ooty, which I will never forget. I love driving, and I love road trips (well, after this, because this was my first one 😛 ). I’m a kind of person who loves to plan the trip systematically and well ahead of departure date and time. Hence, we booked the Zoomcar well in advanced so that we will not have to struggle for getting one as it was going to be a long weekend and heavy bookings were expected. The only thing we didn’t book was the hotel because we couldn’t get one over the phone and we thought we can get at least one room when we will reach there. The day of the road trip arrived and we all were very excited, especially me, as I was the only one who knew driving, meaning I was going to enjoy the trip to the fullest. We were two boys and three girls out of which one was the ‘Selfie Queen,’ which is obvious nowadays. We left Bangalore at around 7.30 AM, as planned, and we had to go to Ooty via Mysore and hence, the approximate travel time was expected to be around 7 hours, meaning we were expecting to reach Ooty by 2.30 PM, which did not happen at all. As we left our Zoomcar pick up point and reached NICE Ring Road, we were struck in a heavy traffic jam. It was a long weekend and the majority of crowd was heading to Mysore and other nearby tourist places. Even after two hours, we were still on the NICE Ring Road, crawling with others in the jam. The roads from Bangalore to Mysore are superb and it takes around two and a half hour to reach Mysore. But that day it took us complete five hours to reach Mysore. As we crossed Mysore, it was already evening and we were just half way. The way from Mysore to Ooty passes through the Bandipur National Park where the gate closes at 6 PM, and hence, if you do not cross the gate on time, you will have to wait till the next day 6 AM. Luckily, we managed to cross the gate on time. Though I was driving continuously from approximately 7 hours and completely exhausted but the surroundings and scenery of Bandipur National Park refreshed me completely. Bandipur National Park is the place where you enter into the Tamil Nadu State. The area of national park, which is in Tamil Nadu State, is called the Madumalai National Park and Ooty is just 50 km from there. On the way from Bandipur to Ooty, you reach a point called Maisanagudi. Here the roads divide, both going to Ooty only. Out of these two roads, one road is only open for cars and bikers and has around 40 hairpin bends. On the other hand the other road is open for all the vehicles including buses and trucks. Unaware of that we took the one with hairpin bends. It was around 6.30 PM and the road was a little isolated with very few cars along the way. We stopped for a small break to have a cup of coffee or tea. In front of us we could clearly see the great Nilgiris behind, which the sun was setting and was bidding adieu to yet another beautiful day. However, I was in a little dilemma. I have already visited Ooty, though I was very young, may be around 10 or 11. Nevertheless, I was sure that Ooty is located on the hilltop and even after driving so much; we have not been encountered with any roads, which will take us to the hills. However, as we proceeded a little, say around 2 KM, we were welcomed with the hairpin bends. With being 40 hairpin bends, this was my first experience of driving on such roads, especially when I was driving from around 12 hours without any major breaks and it was 6.30 PM and surroundings were almost dark. Somehow, we managed to cross those 40 hairpin bends and reached Ooty at around 9 PM. After reaching Ooty, the first task was to look for the hotels and unfortunately, there was not even a single room available in any of the hotels in whole of Ooty. Therefore, after a lot of hard work, we all decided that we are going to sleep inside the car only. Next day somehow we got one family room, which could easily accommodate six people. After freshening up and breakfast, we were all set to explore the streets of enchanting Ooty. Located on the top of the hill, Dolphin Nose has two telescopes fixed at one point, which allows you to witness some of the hidden treasure of Ooty that is not possible otherwise. Through the telescopes you can see the tribal village, located amidst the dense jungles of the mountains; club houses; and much more. After witnessing the mesmerizing beauty, we were damn hungry. The Dolphin Nose did not have fancy restaurant but it does had food stalls, selling chilli pakodas, variety of teas, maggi and much more. We loved the chilli pakodas and chocolate tea, which the vendors were selling. Though there were myriads of teas but I liked the chocolate most (because it’s my favorite flavor). Therefore, if ever you are traveling to Ooty, do visit the Dolphin Nose and try the variety of teas, the vendors are selling and the chilli pakodas. When we started our return journey to Ooty, it was already around 4.30 PM and it took us approximately one hour to reach Ooty. After reaching Ooty, we were in a mood to just sit, relax, and enjoy the scenic beauty of the Ooty city, and there can be no better place than Ooty Lake for it. So, we switched on the Google Maps to get the right direction. Hope you remember that we visited Ooty on a long weekend of May (which is generally the peak season) and dense crowd was expected. So, after reaching the lake it was extremely difficult to find the place for parking. It took me around 15 complete rounds of parking lot and 20 minutes to get the decent parking. However, it was worth the hard work. When we were done with the parking and all, we entered the Ooty Lake and bought the tickets for boating. All the paddle boats in the Ooty Lake can accommodate only four people, meaning only four out of five of us can go for the boat ride. Now the question was who will be the fifth one? Luckily, one of our friends agreed to stay back while we enjoyed the paddleboat ride in Ooty Lake. After the Ooty Lake, we were done for the day and decided to go to the hotel and relax. However, my travel bug was still poking me to explore more. Hence, I convinced one of my friends and after parking the car in the hotel and leaving everyone behind, we started our exploration of the local Ooty market by walking amidst the streets. Though it was around 9 PM and almost all the shops were on the verge of closing, still we could get a good glimpse of Ooty local market. After a nice dinner, it was the time for a good night sleep by calling the day off! Next day was our last day in Ooty as we had to drop the car by 10 PM in Bangalore. Hence, we woke up early and after a nice breakfast, headed to the Dodabetta Peak, which is the highest point of Nilgiri Hills. Dodabetta Peak is located at a height of 2,637 meters from the mean sea level and offers the panoramic view of the Nilgiri Ranges. We left the Dodabetta Peak at around 12 PM and went towards our last tourist spot of the trip, the Botanical Garden. Botanical Garden is a beautifully manicured garden, which spread across the area of 22 hectares and has more than a thousand species of plants. The entry fee at the Botanical Garden, Ooty is Rs. 30 per adult and Rs. 15 for a child. After the complete exploration of this magnificent beauty, we were all set to head back home as it was already 3 PM and we were sure that it is impossible to reach Bangalore by 10 PM. But wait! Before starting our journey back to Bangalore, how can we not buy the authentic Ooty chocolates? You can find some of the finest homemade Ooty chocolates everywhere in Ooty. However, I will recommend that you buy from the market, which is located adjacent to the Botanical Garden. After buying (and eating) the chocolates, we started our journey back to Bangalore and luckily before sunset we could cross the Bandipur National Park. Finally, we reached Bangalore at around 2 AM safely. I drove approximately 18 hours on this day. We extended our booking ours of Zoomcar by calling them. It is recommended that you call them and extend your hours before the deadline. In this way, you will avoid unnecessary late arrival penalty, which is Rs. 300 per hour and you will get extra 10 km/h for every hour you are extending your booking at a minimal amount. So, this was my adventurous road trip too Ooty, which was well-planned but somehow became the un-planned one. I hope you have liked my journey. If you have some more awesome tips to visit Ooty, do let me know in comments or if you have some adventurous road trip experience, I would love to hear! 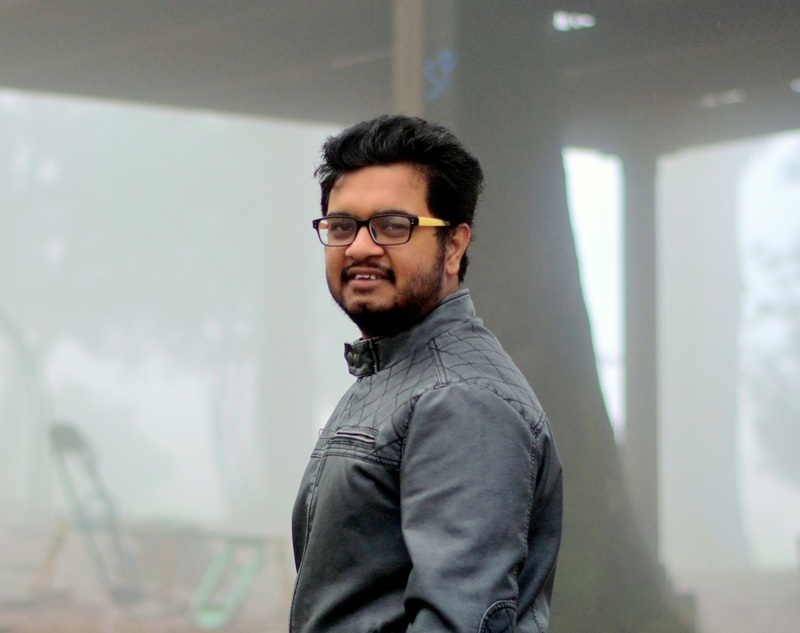 A coder by profession and blogger & traveler by passion. I love exploring new places, trying new food & restaurants and writing about them. I'm always up for a road trip, explore a new cafe or restaurant or meeting new and interesting people.